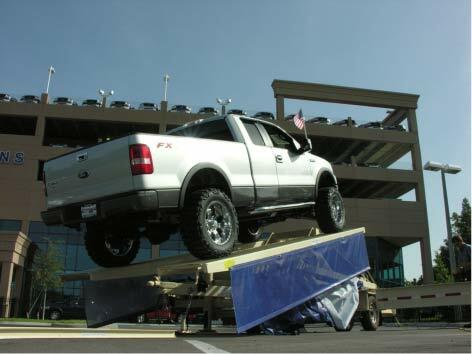 Drive a vehicle onto the platform. 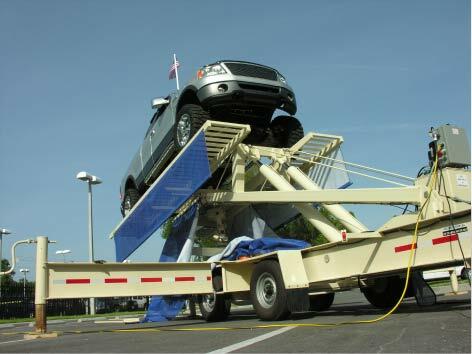 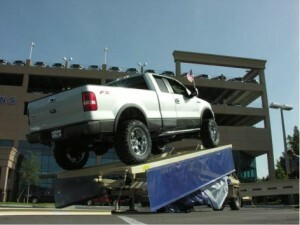 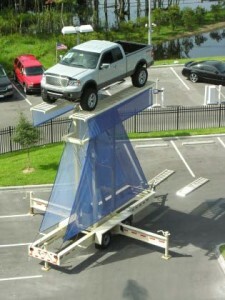 Once your vehicle is loaded, you’re ready to raise it up. Once up — Push a button.